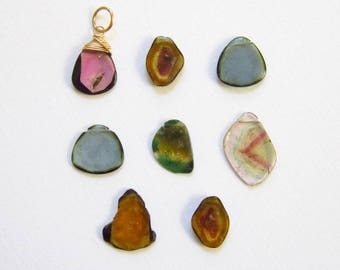 NATURAL/GENUINE STONE - A watermelon tourmaline stone of your choice (see photo #2) will be wire wrapped in either sterling silver or 14k gold filled wire and includes a 6-7mm jump ring that will fit over most chains 4mm or smaller. 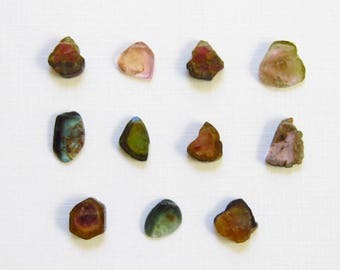 Tourmaline and Watermelon Tourmaline comes in a variety of colors and shades ranging from pink, green, orange, yellow, blue, and even black. ★Charm measures approx 16mm (3/5 inch) long. 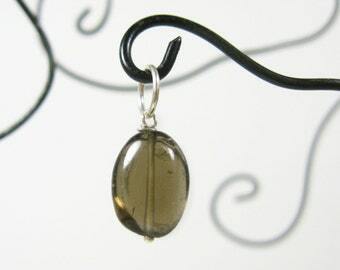 ★Stone measured approx 5x7mm before wire wrapping. ★Stone shape: Faceted flat 'pear' briolette. ★I photograph my items as accurately as possible but each piece is handmade and may vary slightly from the photograph. Individual monitor settings may also affect color. 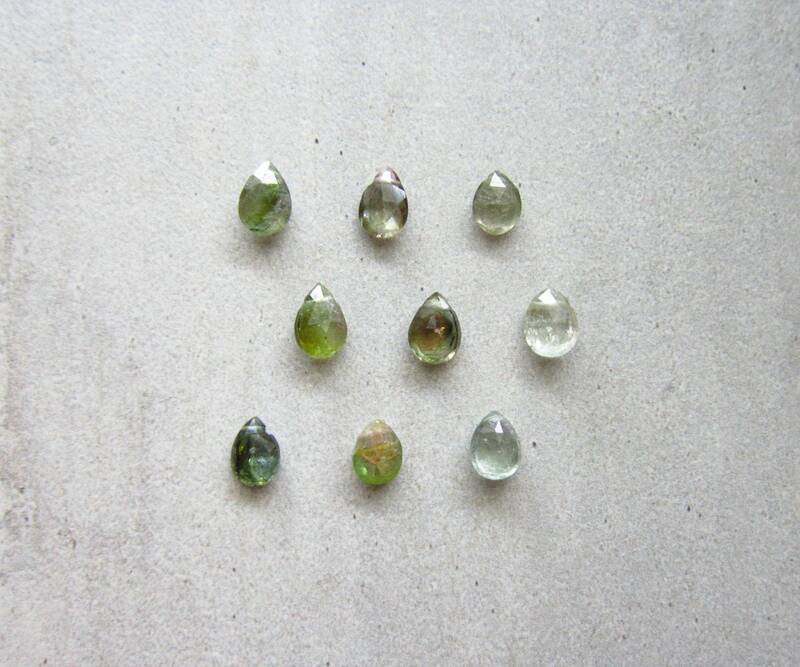 ★Your stone will be selected at random from a small batch of similar stones. Celebrate a Happy Easter, Earth Day, and Full Moon! 20% off when you spend $50+. Free USA shipping when you spend $75+. No coupon need...prices already adjusted in your cart. *Sale runs through April 22, 2019. *20% off cannot be used towards Custom Orders. *Cannot be combined with other coupons or sales. 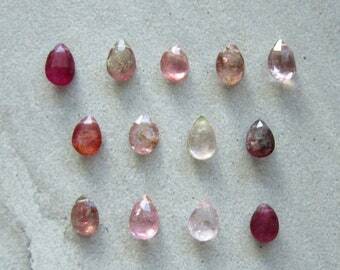 Pretty Pink Tourmaline gemstone added splendor to the other two stones. Can you do solid 14k gold or rose gold fill? Yes! Feel free to contact me and I'll be happy to help with pricing and details. I keep small quantities of solid 14k gold and 14k rose gold filled wire on hand so that I can quickly complete most custom orders. Is your jewelry easy to interchange? Yes! 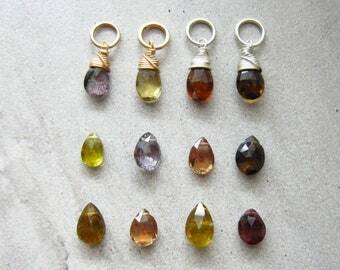 All charms and pendants from my shop come with a standard jump ring that has an outer diameter of 6-7mm. 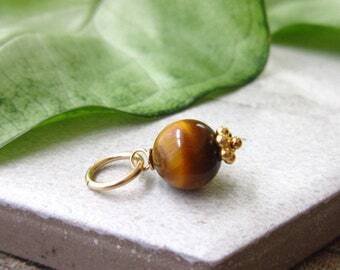 This ring will fit over almost anything measuring 4mm or less. 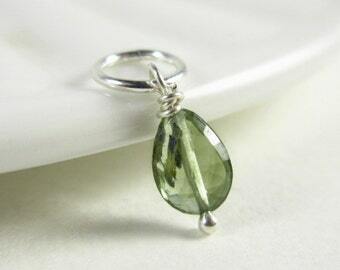 If you would like a larger or different style ring please contact me with your request. I keep a small variety of different rings on hand to suit different needs. I may have soldered, unsoldered, plain, decorative, Pandora size, and 4mm outer diameter to 25mm outer diameter rings. All of the chains and charms sold in my store will work together (unless otherwise specified). Simply feed your chain of choice through the jump ring and you're good to go! How big are your charms? 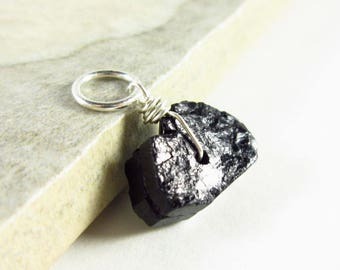 Many of the charms in my store measure approximately 1 inch or less in length. Every listing includes specific measurements and also a photo to show the charm in my hand for scale. 1 inch is 25mm. A US quarter measures 24mm and a US dime measures 18mm. Both are useful items to use to see about how large a charm might be. If you still aren't sure, please don't hesitate to send me for more photos or information. Almost all my stones are! 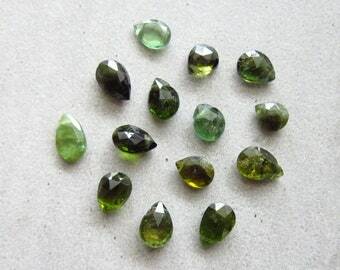 I rarely sell any man-made, altered, plastic, or glass items since I strongly prefer the look and feel of natural stones. I make sure that every piece is described accurately and clearly in each listing. Do you do Wholesale/Bulk/Bridal orders? Yes, I definitely do! Please contact me for further information. Discounts are based on the amount spent. 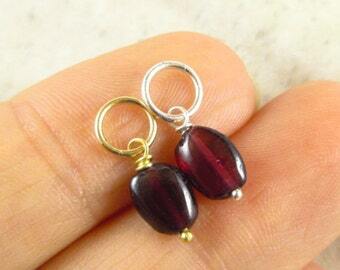 Discounts do not apply towards individual pendants priced at $25+ or items made by Linda McNair. Wholesale/Bulk/Bridal orders will come with Signature Confirmation to ensure delivery. Will I receive the exact item pictured? 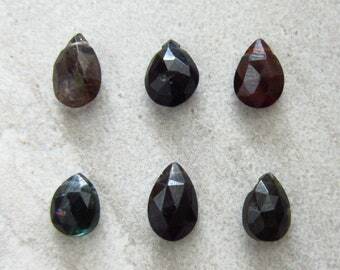 I buy gems in small batches that are similar in size, shape, and color. When I receive the beads I wire wrap one or two from each batch and take photos to use as stock images for each listing. Because of this you likely will not receive the exact item photographed but one that is very similar. 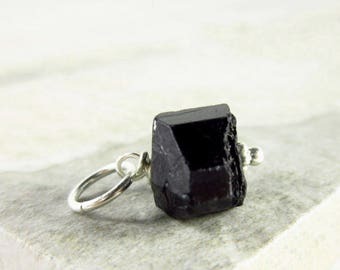 Some listings allow you to Pick Your Stone from a group and with those you will receive the exact item you select from the drop down box when ordering. If you have any questions, please don't hesitate to ask!